The facade of the Stanford Memorial Church acts as a centerpiece and tourist destination; It’s what's around the corner that inspires me. Crowds of people snap photographs of the grand mosaic glistening in the sun; I walk through the shady garden, stumbling upon a breathtaking view. Shielding the rock, covering the stained glass, and wrapping across the steeple, I see what comforts me. Scaffolding. Scaffolds at the Stanford Memorial Church. Digital plain-air drawing. 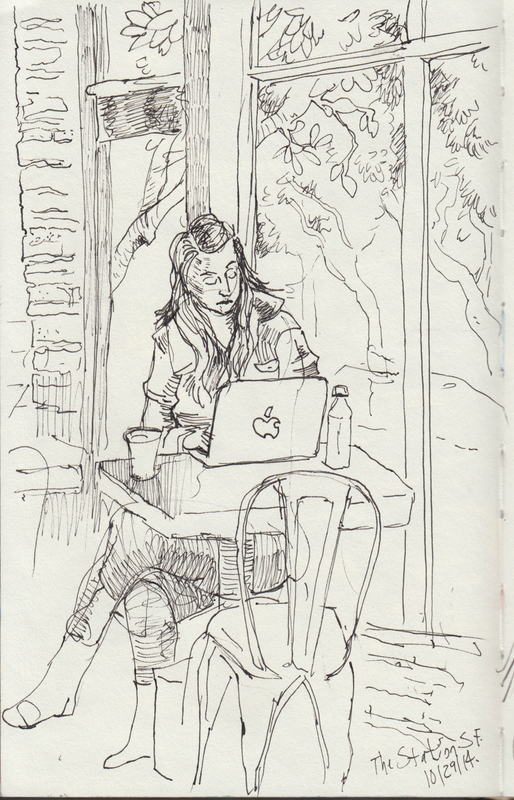 I give up the safe and controlled environment the studio provides when drawing in public spaces. 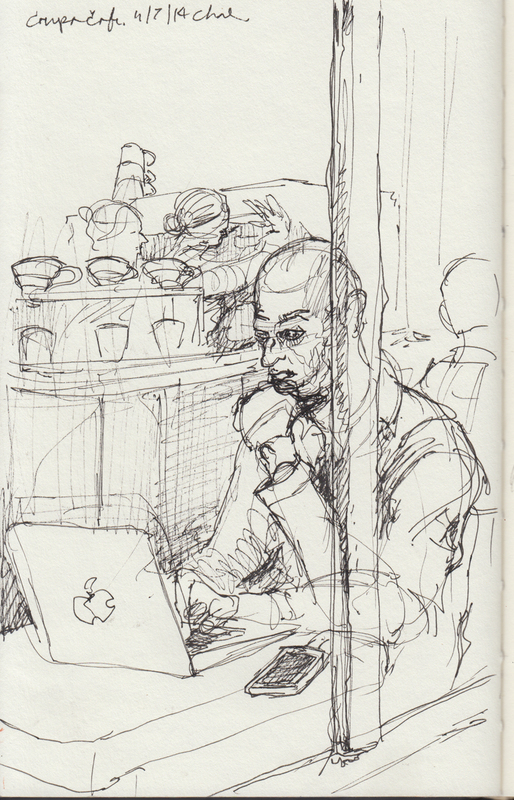 Cafes and bars serve as temporary studios with unpredictable levels of noise and movement that rise and fall. Patrons are the only unchanging component of such places. Their active stillness is reliable as they sit, drink, text, and stare at their screens for hours.